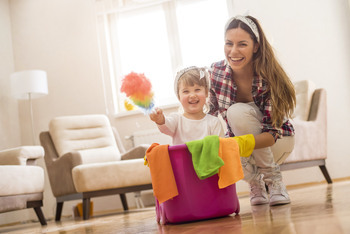 Spring is a season of freshness and new life, and nothing feels more satisfying than cleaning your home after a long winter. Here are a few tips and tricks we’ve found to be incredibly helpful in our experiences. Wrap your butter knife in a rag to wipe in between hard to reach slats. Cotton can easily pick up loose dust particles. Use a clean pair of old socks to control the dust. Wet your surface, sprinkle baking soda and scrub with a sponge. For extra scrubbing powder, add salt to the baking soda. Combine salt and soda water to make a great refrigerator cleaner. The bubbling action of the soda water and the abrasive texture of salt prove to be a great cleaner. Your doormats have been doing a lot of hard work stopping dirt from entering your home. To refresh, hose off and air dry both sides. Don’t forget, at Rural King Supply, we stock hundreds of cleaning products that will help you spring into your cleaning routine. Happy Spring everyone!